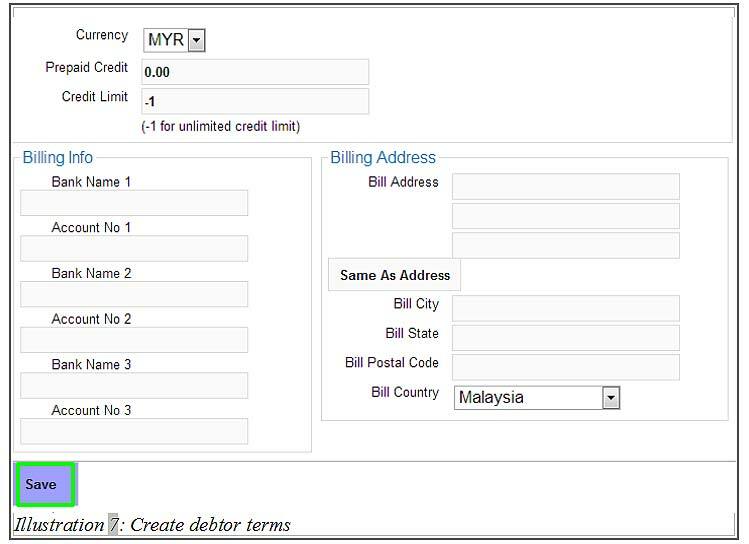 BMO Online Inventory Malaysia allows you to create debtor term and assign them to your contact. It is common when encountering debtors paying their accounts slower than expected. This is where the online inventory comes in handy by helping you to easily track all customers with debts as well as reminding the customers of their debts with your company. This tutorial will show you the steps of creating a debtor term. 1. To create debtor terms, click Contacts then click Debtor Term in the sub-menu. 2. Fill in the form. 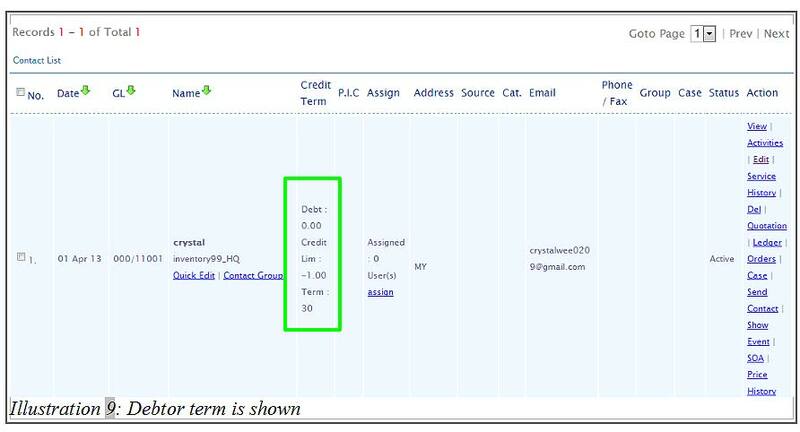 Display Term is the debtor term name, Net Due Days is the days to due date for this debtor term. 3. After you have inserted the terms, click Save. You will be notified that you have successfully created a debtor term. 4. After creating the debtor term, you can now assign the debtor term to your customer contact. Go to Contacts > Contact List. 5. 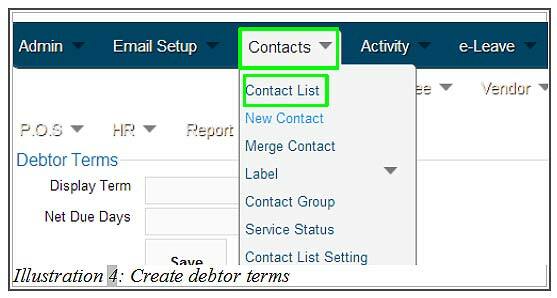 In Contact List, find the customer contact that you want to assign the debtor term to and Edit the contact. 6. 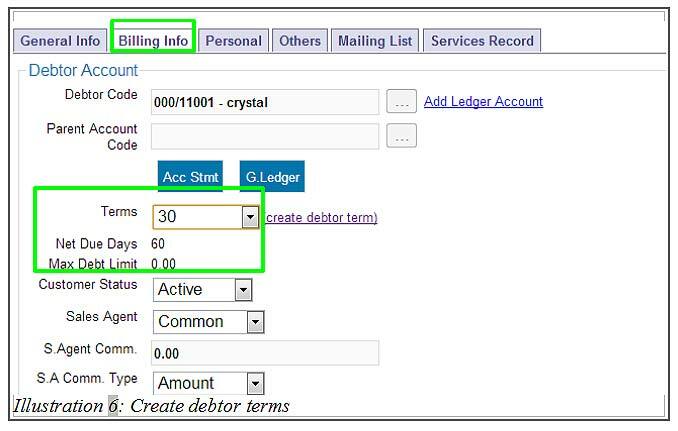 After clicking Edit at the customer contact, click “Billing Info” tab and choose debtor term at Terms. 7. After selecting the debtor term for the customer contact, click Save. 8. You will receive a notification that the debtor term have been successfully assigned. 9. You can check the debtor term that has been assigned to the contact at the Contact List.